In part 18 we looked at alternative concepts in technical analysis. 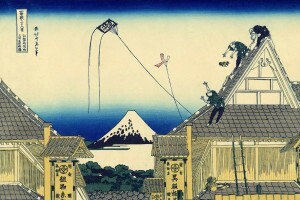 In part 19 we turn our attention to the world of Japanese charting. In fact, this and the next three parts (Renko, Kagi and Line Break) will all focus on the Eastern approach to technical analysis. 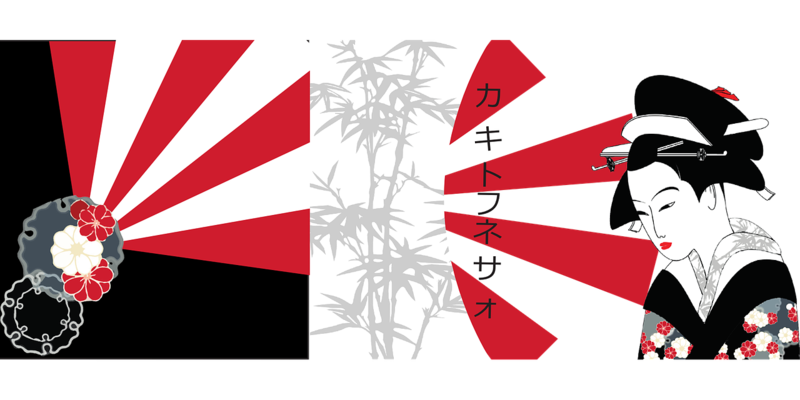 We start with Heikin Ashi – an often forgotten and very effective way to use Japanese candlestick charts. Understanding this ancient method of candlestick charting can certainly reap dividends for your trading! I’ve noticed with both new and old traders alike, the propensity for them to cut out of trades far too early and regret their actions as they see the trade move in the direction they first sort to a much bigger degree. The reverse can also be said for setting stop limits and pulling them too tight and again being forced out of a potentially winning trade unnecessarily. This trait is most prevalent (and understandably so) in new traders. I put this down to new traders falling into the trap that ‘Amateurs want to be right. Professionals want to make money!’ Due to their trading naivety they force trades to a conclusion rather than sticking to their original mental trading model strategy. As we start to win we become more risk averse and as we start to lose we become bigger risk takers! Another major psychological problem is that as we start to win we become more risk averse and as we start to lose we become bigger risk takers! The old adage that you must let your profits run is very true! Of course, that is what makes trading fun and also very difficult! Pareto’s 80/20 rule is very relevant here. I believe trading is 80% psychological, using the other 20% to store your trading knowledge and skills. Having a clearly defined trading plan and strategy would aid this process but I have noticed whilst teaching and monitoring many of my students that they simply like to tinker. They struggle with the psychological movement of the price of any given asset and get too absorbed in the now and become clouded when trying to decipher the current trend: adjusting stop losses, pulling in limit orders and making irrational decisions. So even with the best laid plans the actual trade can go horribly wrong! 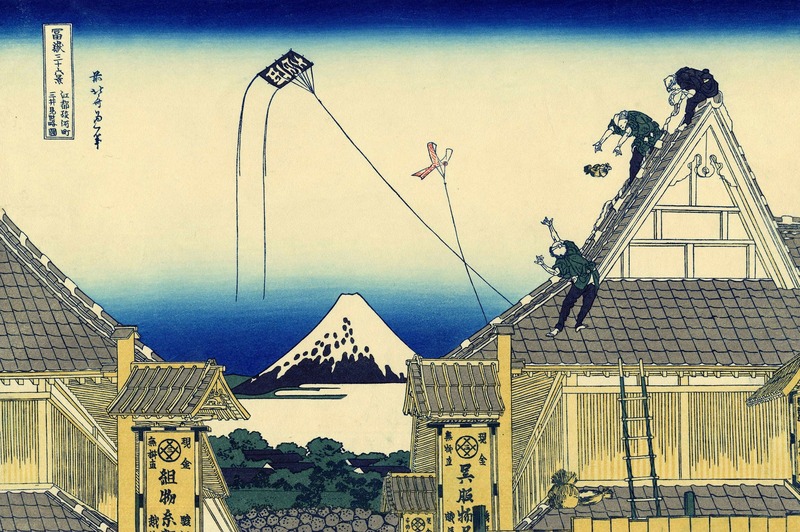 So you may now be asking: “What has this got to do with Japanese Candlestick charting methods?” Quite simply, I introduce traders I see having these issues to the world of Heikin Ashi candles as a method of smoothing out some of the noise that impacts their decision making processes. Heikin Ashi candles I use quite considerably in my own trading and technical analysis. So what are they and now can they be used to better your trading? What are Heikin Ashi candles (HA)? 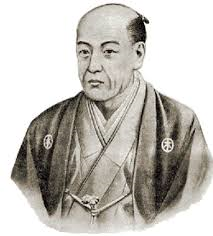 HA candles are simply a derivative of the work of Homma in 1700’s Japan when he developed what we know today as Candlestick charting. Heikin Ashi translated from Japanese means ‘Average Bar’. The goal of HA is to filter noise / volatility out from the price and present to the user a clearer visual representation of the trend. Therefore for a ‘new’ trader or old hand the trend is easier to see and HA charts will help keep them in trending trades. Also it will be more easy to spot price reversals. Heikin Ashi candles have been around for an awful long time but are rarely used to their full potential. Traditional candlestick pattern rules still apply to HA candles. Each bar as you guessed is averaged using 2 bars. The Heikin-Ashi Close is simply an average of the open, high, low and close for the current period. The Heikin-Ashi Open is the average of the prior Heikin-Ashi candlestick open plus the close of the prior Heikin-Ashi candlestick. The Heikin-Ashi High is the maximum of: the current period’s high, the current Heikin-Ashi candlestick open or the current Heikin-Ashi candlestick close. The Heikin-Ashi low is the minimum of: the current period’s low, the current Heikin-Ashi candlestick open or the current Heikin-Ashi candlestick close. On the left chart, the traditional candlestick approach. On the right chart the Heikin Ashi approach. 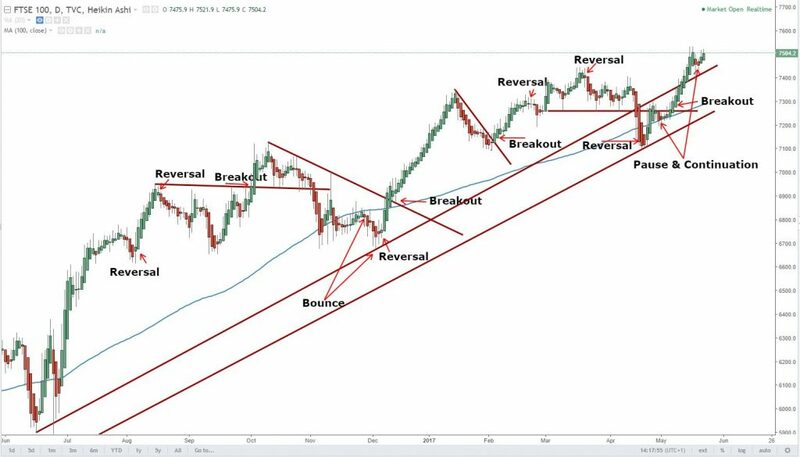 It is clearly evident from the latter what the trend is and turning points are much more clearly defined compared to the traditional candlestick approach. What can we draw out from the HA chart that we can utilise in our trading? The HA is a lot smoother making trends easier to spot. Excellent for Trend traders. 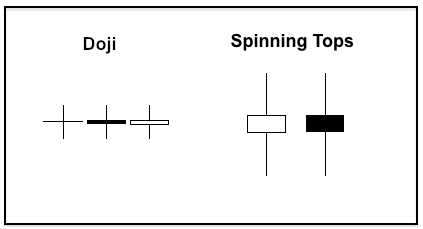 Key candlestick patterns to look out for on any Heikin Ashi chart. Traditional classical technical Analysis patterns like Triangles, Heads & Shoulders still work on HA charts. You will notice that HA charts eradicate ‘gaps’. On HA charts big up bars with little or no lower shadow highlight strong buying pressure. You will notice when a strong trend is underway that their shadows (wicks) of the candles will not be visible. When a trend becomes weak / weaker then the ‘shadows’ will start to appear. Some basic Heikin Ashi trading strategies:HA trading works in any time frame whether it be intraday: 5min, 15min, 60min, 240min or End of Day e.g. Daily and weekly charts. HA charts also work across all assets whether they are Commodities, Equities or FX for example. It is advisable to use indicators to confirm HA trade signals e.g. Stochastics, MACD etc. 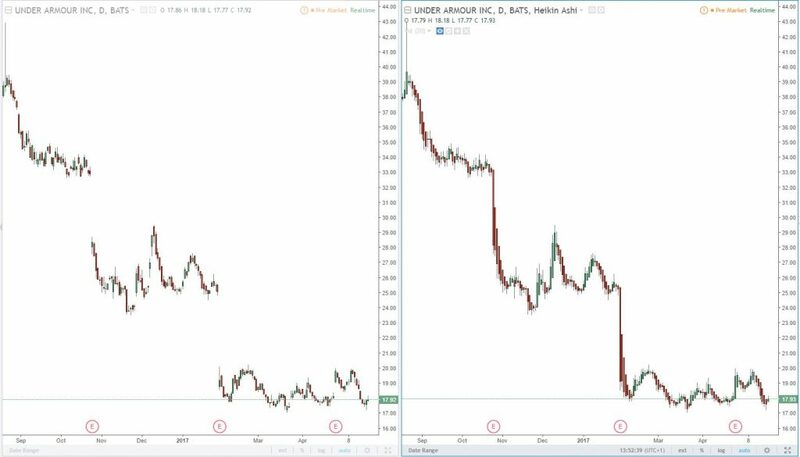 HA Candlesticks provide analysts with a great and very flexible tool that can filter price noise, anticipate reversals and highlight classic chart patterns. To identify support and resistance levels, draw trend lines or measure retracements. Indicators also work well on these charts. 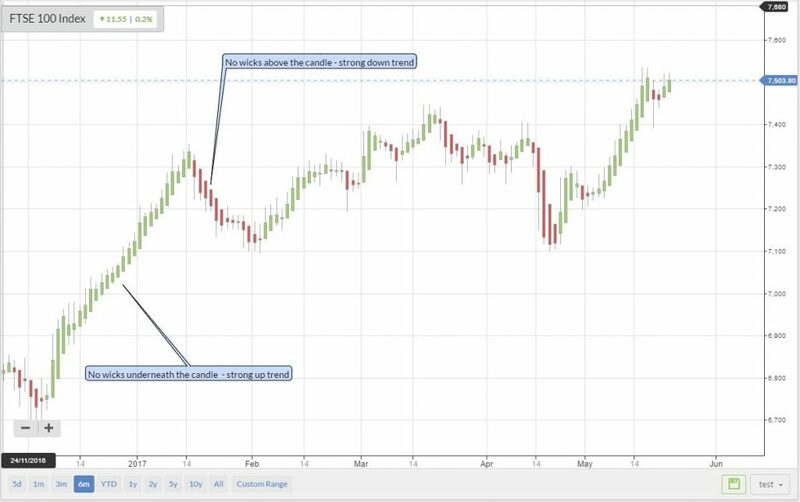 So, if ever you are struggling with your trading and the psychological part of the game is getting to you or simply if you want to try a very useful charting tool then give Heikin Ashi charts a try!